Our White A2 Envelopes are perfect to accompany our 2-up invitation cards, 4-fold greeting cards, or 4-up postcards! These White A2 Envelopes are made from a 28lb bond / 70lb text (105 gsm) white paper stock and are inkjet and laser printer compatible. 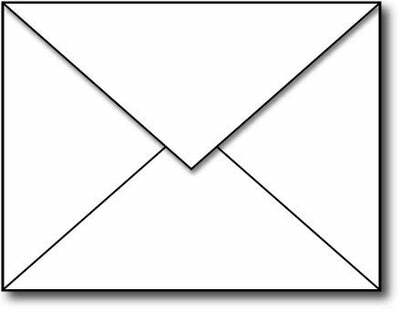 These 4 3/8" x 5 3/4" envelopes feature a pointed flap, moisture activated gummed flap.